Whether it’s a day trip to the beach or a full-on road trip across the country, a long drive usually equals restless children. Natalie Ray’s family blog Plutonium Sox is packed full of unique ways to keep the kids entertained and she knows the power of a fun pit stop. Here she shares 21 brilliant stop-offs so the kids can stretch their legs…rather than your patience. If you’ve ever been stuck on the M25 with restless kids, you’ll the difference a fun break can make. Old Macdonald’s Farm and Fun Park is the dream for children who need to let off some steam, with rides, amusements, two soft play areas and over 200 animals. You’re welcome. 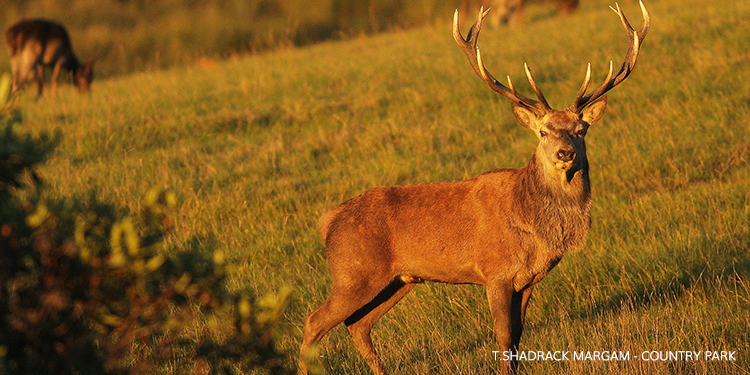 Knole Park is a beautiful deer park in Kent with plenty of space to run around and mingle with the resident herd. Indoors, you can browse the full collection of palatial paintings or admire the panoramic views from the gatehouse tower. River Lee Country Park is a great stop off, especially for dog owners. The park stretches from Waltham Abbey in Essex to Broxbourne in Hertfordshire and there are walking trails, picnic spots and natural play areas for miles. There’s even a dog agility course to try out some tricks! You can do Woburn Safari Park’s safari trail by car (just watch out for the monkeys stealing your aerial!). And for your little monkeys, there’s a Go-Ape high-rope adventure, indoor and outdoor play areas, swan boats and a railway – guaranteed to have them snoozing for the rest of the journey. 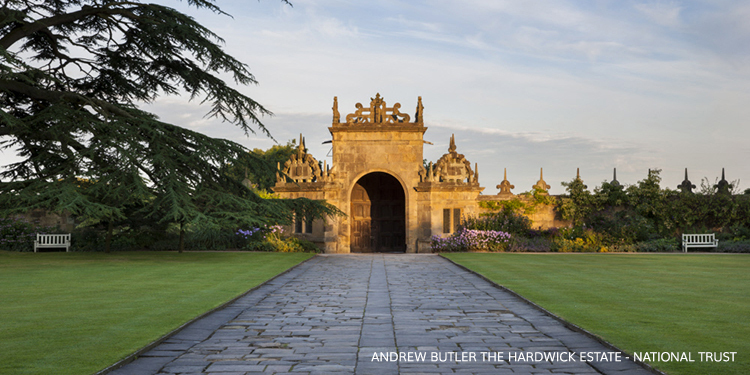 If you’re en route to Sheffield or Leeds and want to stretch your legs, the Hardwick Estate is a must. There’s woodland to explore, lakeside wildlife and longhorn cattle to spot, and walking trails for all abilities around the formal gardens and natural landscape. You can also explore the extravagant hall. The Yorkshire Sculpture Park is packed full of modern and contemporary art. There are 60 sculptures in the open air and children are free to touch them. Some are even interactive, with ‘Greyworld’ a musical sculpture that kids can step on and explore. Swap the cramped car for an hour at Chill Factore. This is probably the only place you can ski, snowboard, play in the snow park or sledge down a big hill on a donut. There are activities for everyone, from toddlers to adults, and you can even take skiing lessons if you book in advance. As the name suggests, this centre is chock-a-block full of toys and play areas. For younger ones, there’s a toddler zone and a dedicated baby room, while babies and visitors with special needs can visit the sensory room. There’s also a sports court, café and free WiFi. The Treetop Trek is an adventure in the tree canopy 15 metres above the ground. There are bridges, swinging logs, balance bars and zip wires. 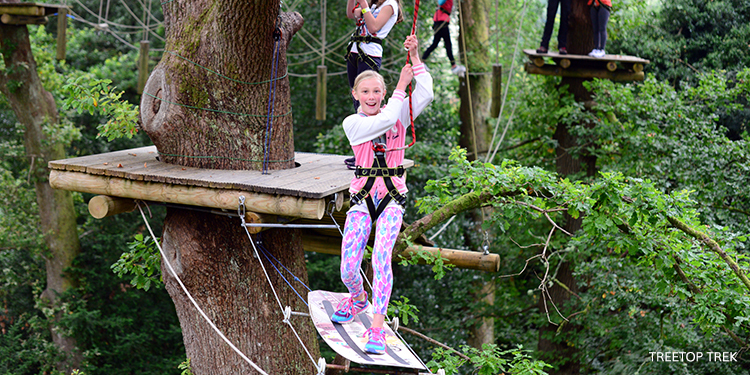 You can choose between the Mini-Trek, which lasts between one and two hours and is suitable kids aged 5 and over, or the Treetop Zip Trek, which is a little more intense and includes zip wires and climbing. The only place in Britain where visitors can walk through a forest with monkeys roaming free, the 60-acre woodland is home to 140 cute macaques. Visitors can walk along the path and watch the monkeys behaving as they would in the wild. There are no barriers or cages, so monkeys may come and join you as you stroll. On a budget? You can explore the courtyard and area outside of Lancaster castle for free. If you want to see the interior of the castle (it dates back to Roman times), you can take a guided tour and learn about its history. Set the SatNav to: Dallas Road Car Park (LA1 1LD) or Parksafe Car Park (LA1 1EQ), both of which are just 300 metres from the Castle. Stop at Lakeland Bird of Prey Centre to see owls, falcons, eagles and hawks from all over the world. The flying demonstrations from their resident bald eagle, peregrine falcon and Harris hawk are amazing – little ones will love it. You can even try your hand at flying your own bird. 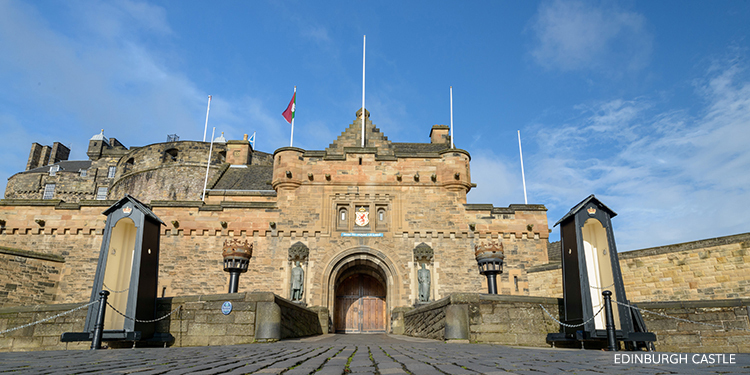 The historic Edinburgh Castle dates back to the Iron Age when warriors built a hill-fort there. Since then, it’s been home to royalty and seen many wars. Try timing your visit for one of the live weapon displays or go in search of the magnificent suits of armour in the great hall. As well as thousands of beautiful butterflies, there’s lots more to see here – from the strange world of the mini-beast in the Bugs and Beasties exhibition to the Nocturnal Zone, where you can see lizards, pythons and chameleons by infra-red light. If you have time for a longer stop, try making a splash at Time Capsule Waterpark. Older children will love the huge waterslides and the Tsunami wave pool. And for younger children, the Cove Island area is specifically designed for little ones so you can easily keep an eye on them. Never thought you could stop off and see a shark on the way to Inverness? Deep Sea World is the place for sea lovers, with marine life from both the Scottish coast and more exotic locations, including the Amazon jungle. Don’t miss the longest underwater tunnel in the UK and if you book in advance, you can even get in the water with those sharks! Just off the M9 are the iconic Kelpies, the largest equine sculptures in the world. They represent the strength of the communities in Scotland and the transformation of its landscape, so they make for a great patriotic moment. There’s a visitor centre right next door to learn more about their history. Part go-kart track, adventure area and ceramic studio, Noah’s Ark is a really eclectic entertainment centre with activities for the whole family. Kids can burn off energy in the soft play area or whizz down the slides. For something higher-octane, anyone from three years can have a go on the go-kart track, or slow it down and get crafting in the family ceramic studio. You might need longer than just an hour! At the centre of the 1,000-acres is Margam Castle, which boasts a lovely orangery, ornamental gardens and deer park (where you can spot a stag or two!). It’s probably the only country park with a fairytale land, plus there’s a rare breeds farm trail to spot lots of other animals. St Fagans is one of the most-loved open-air museums in Europe and entry is completely free. Located in the grounds of St Fagans Castle, the original buildings help to tell the stories of the Welsh people through the eras, including a school, chapel and farm. They have live demonstrations from craftsmen in workshops and you can buy their produce if you fancy a keepsake. If you’re passing through central London and fancy some fresh air, Osterley is the perfect pit stop. It’s one of the last country estates in London and is home to an extravagant house, formal gardens, woodland and a lake. And of course, the obligatory National Trust café. Inspired to try a detour with a Hertz hire car? Find out more and book here.